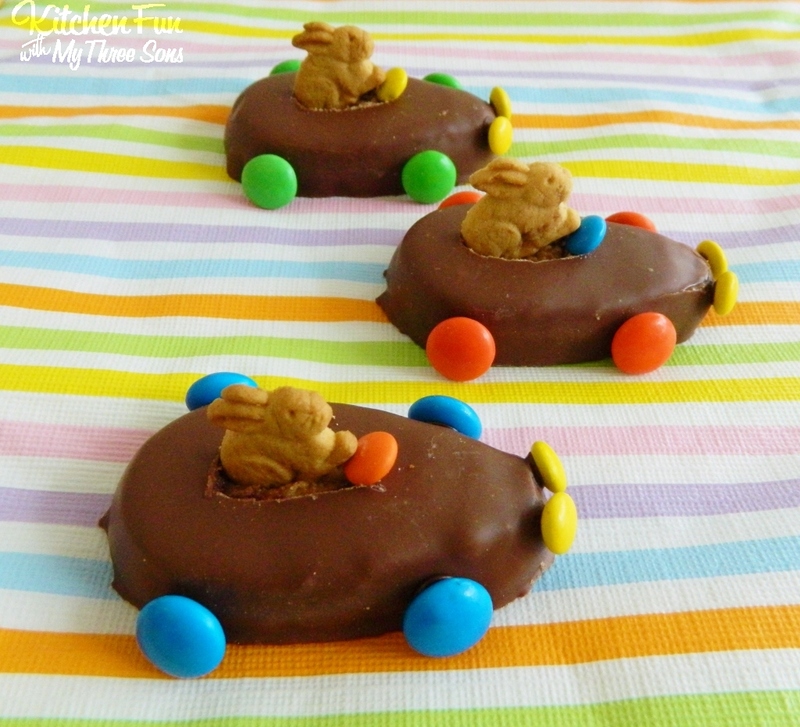 Your kids are going to just love these fun Easter Bunny Reese’s Egg Cars and these take just a few minutes to make! This is one of my favorite Easter treat ideas that we have ever created! Start out by cutting out a opening from the top of the Reese’s egg. You will want to dip your knife in hot water while cutting so you do not break the egg. 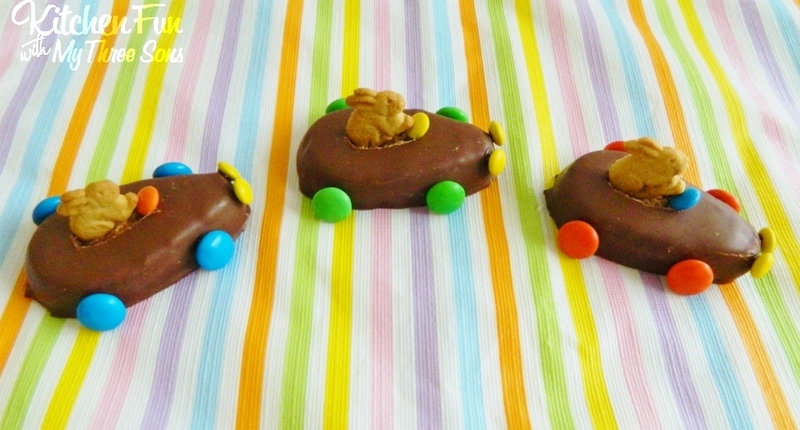 Then you will want to attach the regular sized M&M’s on the bottom for wheels using the chocolate cookie frosting. We added mini M&M’s for the steering wheel & head lights. Attach with the frosting. Press the bunny grahams in the drivers seat! How super easy is that!!! 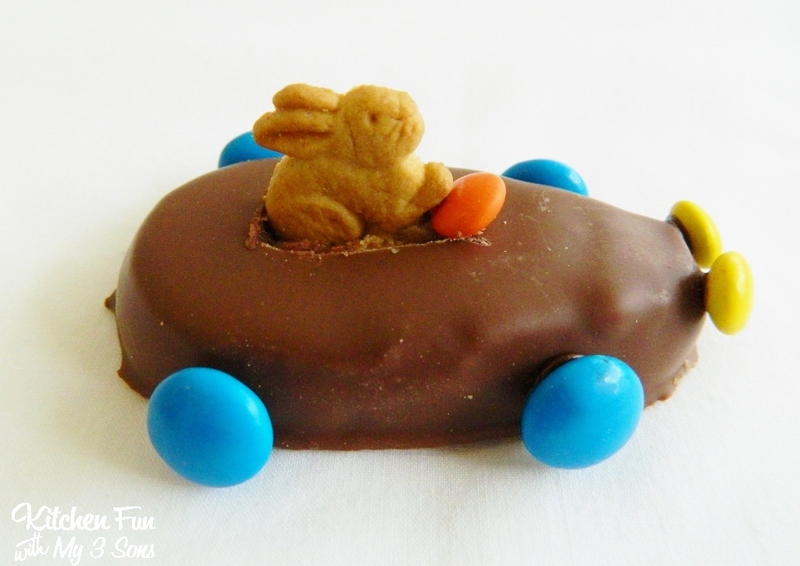 You can view all of our other Easter fun food creations HERE!! « Previous PostKitchen Fun and Crafty Friday link party #58!! Next Post » April Fools Dunkin Donuts Meatloaf Dinner! Cuter than CUTE!! I love these, Jill!! My daughter and I both giggled over how funny they are. We will definitely make these! Thanks for the great idea! So cute. I've not seen those bunny cookies before, but I love them. I must go buy some before Easter. OMG these are the cutest things I've ever seen! 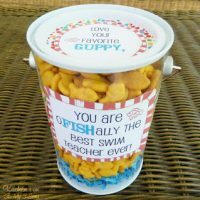 Such a cute idea, I know a few kids that would love these! Thanks for sharing. How totally cute! I just saw those big Reese's Eggs (yum!) at the store. We might have to make these. Thanks! These look super fun and delicious. Perfect kid making Easter fun. Oh my goodness- these are so adorable! I love them, plus they are made out of Reese's! These are so cute! Stopping by from Two Cup Tuesday! Pinned! Have a great week. These are so adorable! I've come across something similar on Pinterest, however they used Twinkies for the cars; your choice of peanut butter eggs for the cars is perfecto! Those are adorable! I think we even have everything we need already. 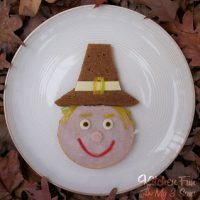 Stopping by from Ginger Snap Crafts. Those are so stinkin' cute! I might have to make these for my kids! Thanks for sharing. I am using a bunny theme for the Kids Easter table this year and these are PERFECT! 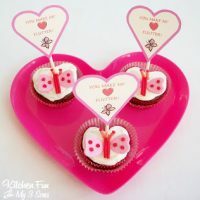 These are just too cute, what a great idea! Check out our site too, if you get a chance! Hope you have a great weekend all! Brilliant! These are so stinkin cute! These are the cutest!!!!! Another amazing idea Jill! Thanks for sharing at Sun Scholars! I am featuring you at this week's For the Kid's Friday link party!!! These are fantastic what a cute idea! If you have other kid-friendly crafts, we'd love it if you would submit them. If you would like to display a featured button on your site, you can grab one from the right side bar of your post above. Thanks for an adorable project idea! Thanks for the idea. I am always looking for fun easy things to do with the kids. My 9 year old will love doing this she loves crafts and cooking.